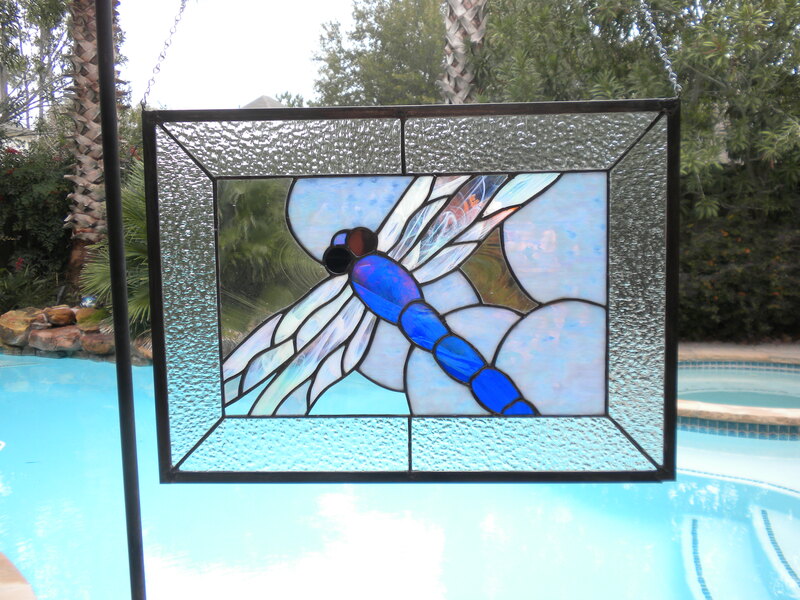 Beautiful Stained Glass Dragonfly Window with Iridized glass. 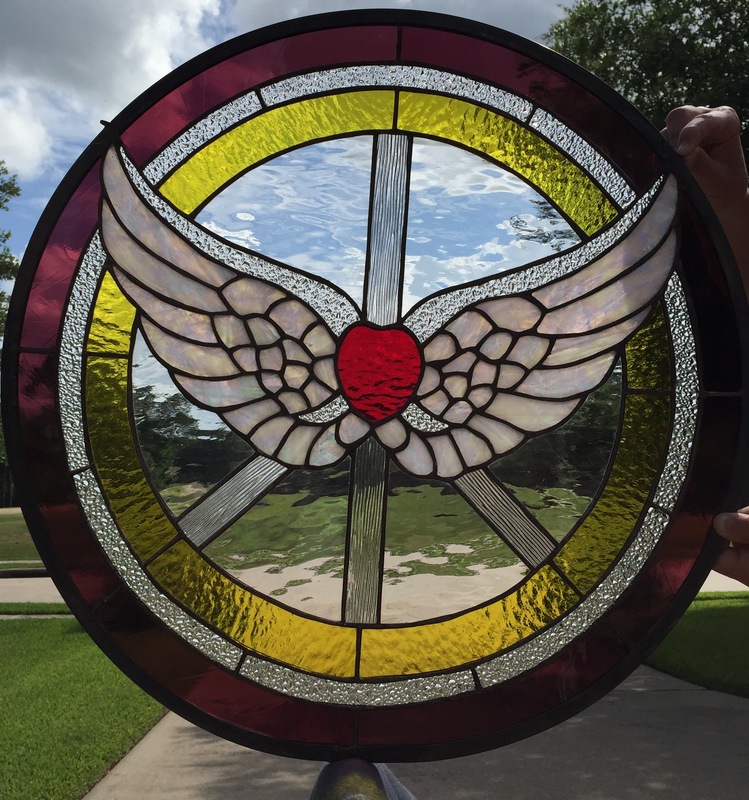 This piece measures 21 x 15-1/2. Beautiful hammered glass around as the border. For more information please call(713) 899-0933 or e-mail allielane@comcast.net.